Jules Henri Poincaré was born on 29th April 1854 and died on 17th July 1912. The man is known as being a mathematician, theoretical physicist, philosopher of science and engineer . The French mathematician is also labelled as a ‘polymath ‘and The Last Universalist. He left an impact on pure and applied mathematics along with mathematical physics, and celestial mechanics. The man also brought Poincaré conjecture in limelight for the mathematical community. He was the pioneer in presenting Lorentz transformations in a symmetrical yet modern way. In Physics and Mathematics, the Poincaré group is named in his honour. Henri Poincare was born into a family with widespread influence, his initial neighbourhood was Cité Ducale. His father taught medicine as Professor at the University of Nancy. Poincare’s mother, Eugénie Launois, tended to his needs when he fell ill from diphtheria during his childhood. He studied at the Lycee in Nancy for eleven years, not only did he perform very well in each subject but also won first prizes in a competition which took place amongst top students in Lycees across France. He graduated from there in 1871 with a Bachelors degree in letters and sciences. In 1873 he joined École Polytechnique to study mathematics, his first publication was “Démonstration nouvelle des propriétés de l’indicatrice d’une surface” (1874). After graduation he studied at École des Mines, and ended up graduating with an ordinary engineer degree in 1879. He also worked on his doctoral thesis which focused on “differential equations”. The thesis was titled “Sur les propriétés des fonctions définies par les équations différences”, he analyzed their general geometric properties and was the first in doing so. The realization that these equations could determine the solar system’s multiple bodies’ behaviour. In 1879, the great mathematician graduated form the University of Paris. His doctoral advisor was Charles Hermite. Henri Poincare pursued his contributions to mining mathematics despite the job offer as junior lecturer for mathematics at Caen University. He was an engineer at the Ministry of Public Services (1881-1885). As time passed he became the chief engineer of the Corps de Mines (1893) and was inspector general by 1910. For the remainder of his profession (after 1881) he taught at the University of Paris (the Sorbonne). He chaired the following departments:Physical and Experimental Mechanics, Mathematical Physics and Theory of Probability, and Celestial Mechanics and Astronomy. In 1887, he won a competition related to the King of Sweden which dealt with the three body problem. He got involved in the synchronisation of the world’s time by joining French Bureau des Longitudes in 1893. He received the following awards: RAS Gold Medal (1900), Sylvester Medal (1901), Matteucci Medal (1905), Bolyai Prize (1905),Bruce Medal (1911). He married Miss Poulain d’Andecy and they had four children named: Jeanne, Yvonne, Henriette, and Léon. 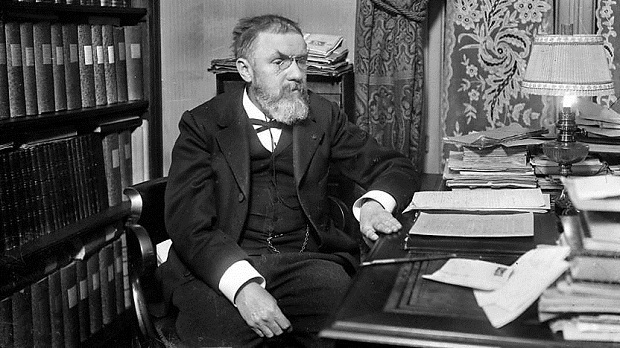 When Poincare was 32 years of age he joined the French Academy of Sciences, later on by 1906 he became its President. He died at the age of 58 years, is buried in the Cemetery of Montparnasse, Paris within the premises of the Poincare family vault. In conclusion Poincare proved to a mathematician who brought about ideas and analyses in the mathematical world.